Without increasing state student aid budgets, the state of California can help both U.S. citizens and undocumented college students pursue higher education. SB 1460 — the California DREAM Act of 2010 — was approved by the California legislature yesterday and is now under consideration by Governor Arnold Schwarzenegger, who has 12 days to act on the bill. Presented by Senator Gil Cedillo, the legislation would extend eligibility for Cal Grants and community college fee waivers to students who have attended a state high school for three years and graduated with a high school diploma or GED. This is an equal opportunity bill that is also a good investment for the state. The potential beneficiaries of SB 1460 are long-time residents who have worked hard to get into colleges across California, pay taxes, and contribute to state coffers. Most will eventually settle in California, and it makes sense to clear the roadblocks that prevent them from accessing state financial aid. Besides, California will need more college graduates in coming years. In a recent report, the Public Policy Institute of California predicted that 41% of jobs will require a college education by 2025 while only 32% of workers in the state will have the necessary education. Those who worry about “increased competition” from undocumented students should focus their energies on getting the state to invest more in higher education to show their genuine concern for the needs of all American students. Otherwise, their concerns are simply a mask for scapegoating immigrants. Governor Schwarzenegger — an immigrant who benefited from California community colleges — has actually vetoed previous versions of this bill three times. This is his last chance to sign it into law. The California DREAM Act of 2010 is a great opportunity for Governor Schwarzenegger to wipe the slate clean and stand up for young California immigrants by investing in the future of the state. 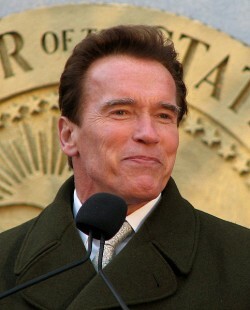 Schwarzenegger largely squandered his legacy of promises due to mistakes he made quite early as a Governor, which forced the state into it’s current precarious financial situation. This is his chance to set his legacy straight as he leaves office this year. Ask Governor Schwarzenegger to do the right thing and put his mark on SB 1460 to move California and the nation in the right direction. The clock is ticking.